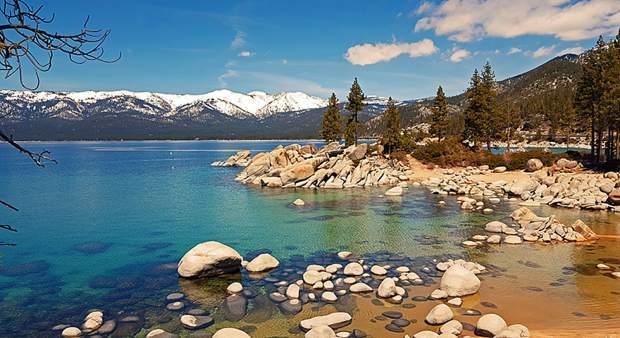 TAHOE/TRUCKEE, Calif. — Content for briefs is selected from e-mail submissions to Community Editor Amy Edgett at aedgett@sierrasun.com, subject community brief. To enter community events online, visit http://www.tahoedailytribune.com/NorthShore/nCommunityCalendar, for entertainment http://www.tahoe.com. Friday, March 21, 5 -7 p.m. at Truckee Elementary School. The Family Resource Center of Truckee invites kids of all ages and families to join the FRC for Family Fun Night. The cafeteria will be transformed into the “Magic Tree House” with activities that include crafts, science experiments, readings from the Magic Tree House Book Series and lots of story-related fun. A family dinner will be provided and all activities are free. To learn more about “Magic Tree House” visit http://www.magictreehouse.com. Call 530-587-2513 for more information. Take advantage of discounted lift tickets and support local education when you pre-purchase Skiing for Schools lift tickets to participating resorts. Upcoming Skiing for Schools days include: Sugar Bowl, $40 lift tickets valid any one day March 22-28; Squaw Valley and Alpine Meadows $40 lift ticket valid any one day from April 6 to the end of the 2014 season. Lift tickets may be purchased the week prior to the valid dates Tahoe Dave’s ski shops. A limited number of tickets are sold on a first come, first served basis and will not be available at the resorts the day of the event. Tickets are not refundable. The proceeds from each lift ticket purchase goes directly to the Excellence in Education Foundation, which provides enhanced educational opportunities to Tahoe/Truckee area students. For more information and updates visit http://www.exined.org. Support Sierra Watershed Education Partnerships March 21 and 22, 6-9 p.m. with chef Doug Baer of Uncommon Kitchen. Cost is $70 per adult, to be held at the Tahoe Cross Country Ski Area, 925 Country Club Drive, Tahoe City. Call 530-583-5475 to make your reservation. Volunteers needed to help serve at these events. This is fun way to support SWEP, and experience the magic of the yurt dinners. Please contact Julia Worster at julia@4swep.org to sign up. The community has embraced upcoming job fairs to facilitate year-round economic sustainability for Tahoe Truckee community members. The “Tahoe Basin Community Job Fair” series is designed to aid in the development of year-round sustainable employment. According to Ceci Chourre with the Professional Ski & Snowboard Instructors Association, the remaining Squaw Valley event will bring businesses with thousands of summer job openings. Chourre said support by businesses is incredible, find them at the job fair March 25 at Squaw Valley Conference Center from 4-7 p.m. Tangled Roots Writing invites you to discover the heart of your writing. Learn the tools of experience and language needed to evoke emotion. No experience or ability in poetry necessary — only fascination on March 24, 6-8:30 p.m. in downtown Truckee. Cost is $40. Karen Terrey, MFA, is a business and creative writing coach in Truckee and offers workshops, editing, and coaching through her business Tangled Roots Writing for children and adults. To learn more about Karen’s services and efforts to build community in Lake Tahoe, see her blog at http://www.karenaterrey.blogspot.com and “like” Tangled Roots Writing on Facebook. Call 530-386-3901 for more info. A beer tasting fundraising event will benefit the Artistic Bike Rack Project on Friday, March 28, 5-8 p.m. New Moon Natural Foods in Truckee will feature brews from the Brewing Lair of Blairsden, with 100 percent of your $10 entry going directly to the Artistic Bike Rack Project. Drink great beer and support public art. The Truckee Public Art Commission (TPAC), in cooperation with the Truckee-Donner Recreation & Parks District, sponsored a community designed bike rack competition. The goal is to support and encourage bicycling and provide a creative solution to bicycle parking: bike racks functioning as art. Design submissions were due March 14. Winning designs will be announced at the beer tasting event. For details contact tdrpd.art@gmail.com. The Truckee Tahoe AirFair & Family Festival (TTAF&FF) is hosting a T-shirt art contest for students 18-years-old or younger. Interested candidates must design a T-shirt for the 2014 “Women in Aviation” theme. The winning design will be put on all 2014 commemorative T-shirts, and the winner will be awarded $500. The winner will be mentioned online, in media announcements and acknowledged at the pre-event honorary dinner and AirFair. Application and design submission deadline is March 31, 2014. The free Truckee Tahoe AirFair & Family Festival is funded by the Truckee Tahoe Airport. 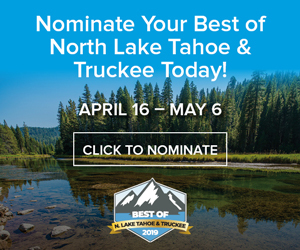 All proceeds from sponsorships, vendor booth sales, T-shirts sales and other incidentals go to Truckee North Lake Tahoe youth for educational, sports, and arts programs, scholarships and supplies. These monies also help toward the operational costs for free flights for the kids on Sunday, July 13 and KidZone Museum. 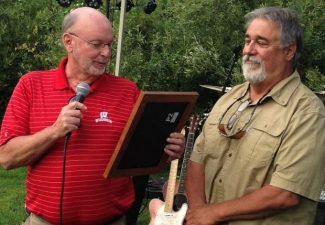 The event is put on by volunteers from the nonprofit organizations: Experimental Aircraft Association (EAA) Chapter 1073, Truckee Optimist Club and KidZone Museum. For additional information and to download an application visit http://www.truckeetahoeairfair.com, or call KidZone Museum at 530-587-KIDS (5437).